Busy Bees at Thetford - Our vegetable patch is blooming! Our vegetable patch is blooming! 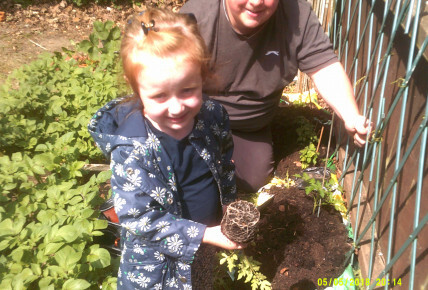 Children at Thetford Busy bees learnt some gardening skills, planting tomatoes in our growing vegetable patch. They join our blooming strawberries, potatoes and runner beans. 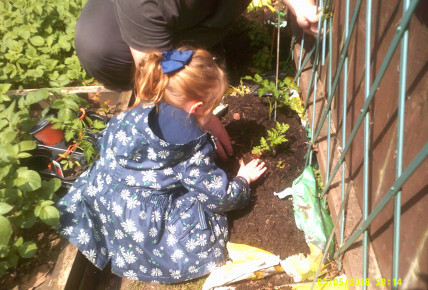 Chidren from our pre school and Daffodils room reminded that ''We dont pick the strawberries. 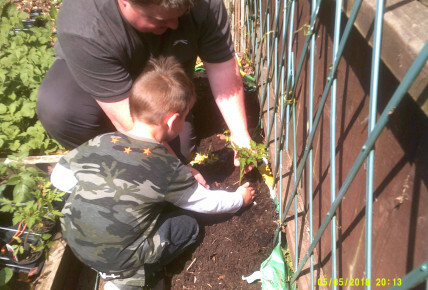 Johnathan does'' With another telling me ''We need to water the plants to make them bigger''. Johnathan explained to the children how the food planted will be part of their meals once grown. Now wev'e got the sunshine, the children (and staff) just need to get watering! Fantastic to see our vegetable patch is teaching our children not only sharing/turn taking skills, gardening skills, but also promoting one of our British Values of Rule of Law too. Keep an eye out on the website and newsletter as we'll keep you up to date with our very own patch watch!